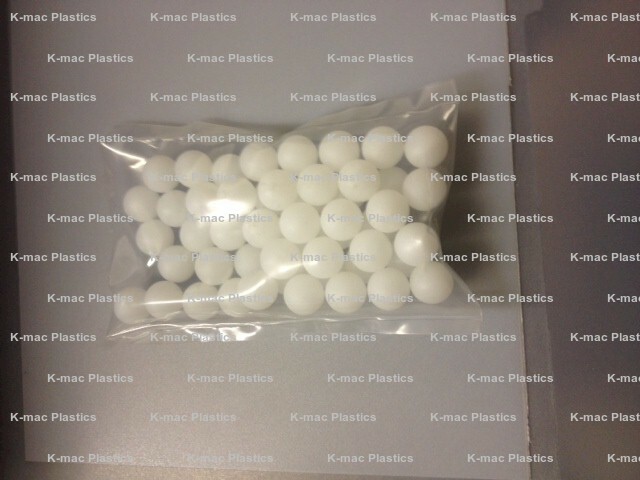 Spheres float on surface of liquid in open tank and thereby greatly reduce the exposed liquid surface area - up to 90%. Dramatically diminish objectionable fumes and odors. 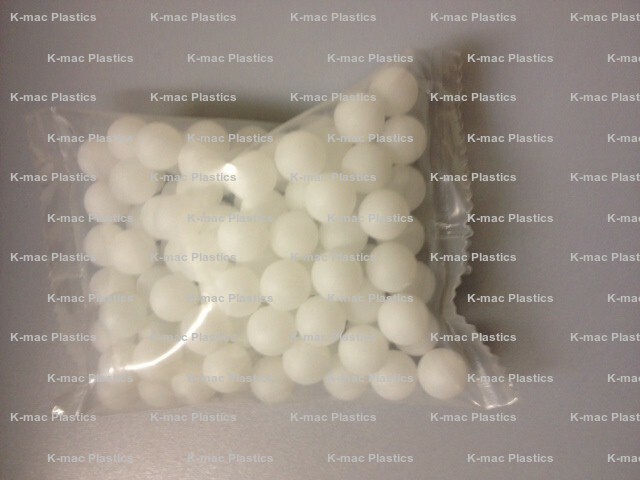 Blanket of spheres also insulates heated liquid reducing evaporation and heat requirements. Ideal for plating tanks and similar open tank installations where the liquid surface can be covered with a blanket of spheres without impeding access to the tank for process purposes. Spheres are hollow and will float on any liquid. No welt or rim on which chemicals can deposit, and being smooth they ensure a much tighter surface cover. 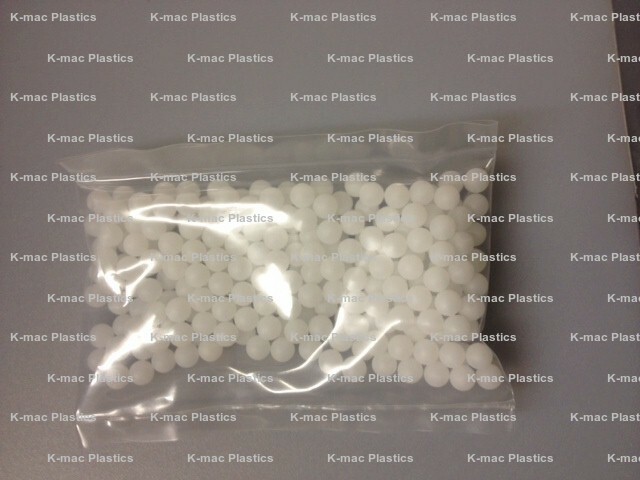 Polypropylene, non-toxic and able to withstand continuous working temperatures of 110° C (230°F) Polypropylene is suitable for use in most known chemicals. 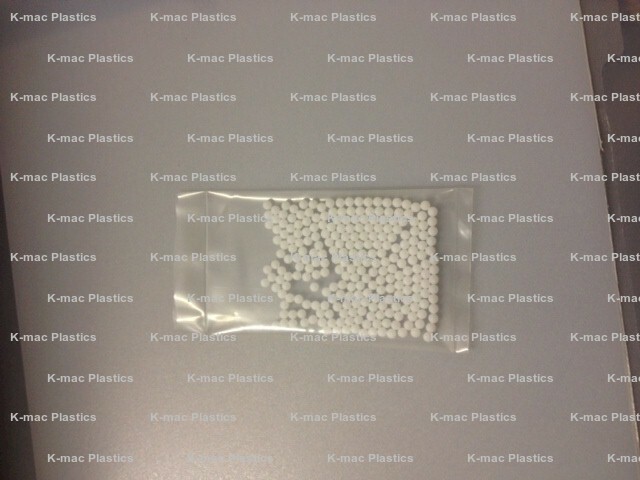 High Density Polyethylene generally suitable as above but with a continuous working temperature limitation of 80° C. (176° F) softening point about 110° C (230°F). 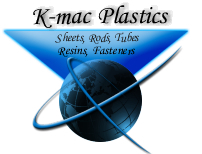 High density polyethylene has better chemical resistance to certain compounds like oil, and other hydro-carbons. Also less stress cracking at low temperatures than polypropylene. 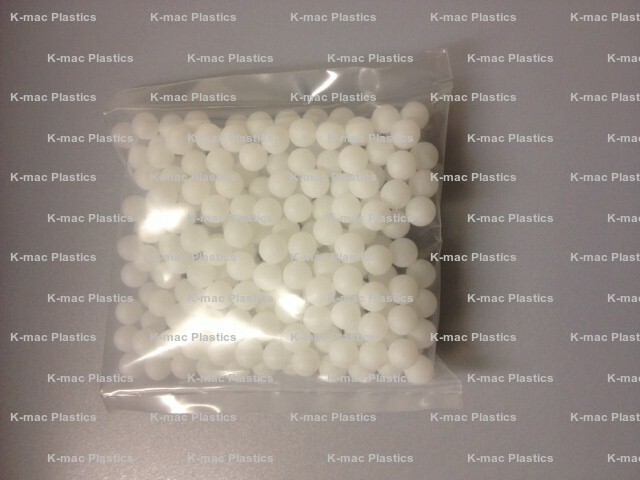 Color white translucent except 100 mm, black for outside use. All sizes are blow molded. The percentage of area covered by the balls is independent of the ball diameter, being the ratio of a circle to the hexagon which surrounds it. This equates to 91% of the liquid surface area. 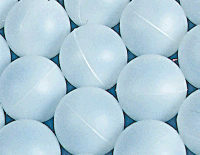 The frictional contact points ensure that each ball remains stable when subjected to increased liquid or air turbulence. Test Tank Dimensions = 600mm(W) x 1850mm(L) x 1000mm(H).